So, I'm having fun digitizing some of my old records. Since my LP is connected to my computer through the pre-amp and not the receiver, I can watch Battlestar Galactica while recording stuff. Score! I'm not laying out money for the stuff I paid for before, and it's all perfectly legal! Take that, RIAA! 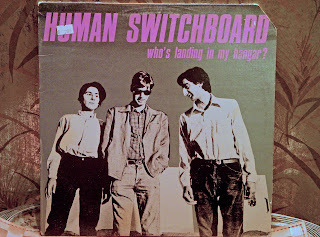 Also, I finally figured out how to put music on here, so here's some scratchy vinyl-only goodness from Cleveland's Human Switchboard circa 1981. Enjoy!